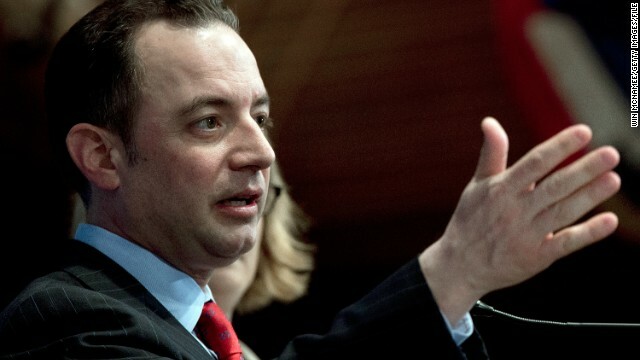 (CNN) – Republican National Committee chairman Reince Priebus argued Sunday that Hillary Clinton's book rollout–including last week's leak of the Benghazi chapter and her anticipated book tour–may not be a buildup to a presidential campaign, but simply a strategic effort to make more money. The chapter, according to Politico, contained a defense of her response to the attack, as well as criticism of Republicans who Clinton says play politics with the deadly assault that killed four Americans. Priebus argued the former secretary of state herself "is politics 24/7." She may not run for president after all, he added, and cautioned people against being "confused by her pursuit of money with her pursuit of running for president." "I know publishers of the book create this environment to make a lot of money. That's what Hillary Clinton is doing. She's making a lot of money. She's writing books. She's doing speeches. All this talk helps her make money. As long as she's making money, she's going to keep this up," he said on "Fox News Sunday," arguing Clinton may not run for president after all. His comments come as House Republicans have formed a select investigative committee on the 2012 attack on the U.S. Consulate in Benghazi, Libya. In her book, however, Clinton appeared to suggest that she won't take part in the investigation or any of the committee's hearings. "I will not be a part of a political slugfest on the backs of dead Americans," Clinton writes. "It's just plain wrong, and it's unworthy of our great country. Those who insist on politicizing the tragedy will have to do so without me." Priebus and the RNC, along with congressional Republicans, have not let up in their push to make Clinton answer more questions about Benghazi as she considers a 2016 presidential bid. The chairman said she "has been playing politics with this issue from the very beginning" and that her book preview is part of an "organized political defense." Priebus added that Benghazi disqualifies Clinton from running for president, saying "I think she gets an 'F' as Secretary of State. Whether it is Russia, Iran sanctions...and now obviously Benghazi." The former secretary of state appeared before both houses of Congress in 2013 for questioning, but House Republicans want more answers. The RNC has raised money off Clinton's book rollout, including regularly posting blog entries and research documents to their website, which includes a donate button. While Republicans have been accused of driving a political narrative to define a potential Clinton candidacy, they're now saying she's the one playing politics. Sen. Ted Cruz was in lockstep with Priebus on Sunday morning in another interview, accusing Clinton of being "all politics all the time" and called the Benghazi chapter "pure political spin." "(Clinton) is more focused on blaming the so-called vast right-wing conspiracy than on the terrorists. The truth shouldn't be partisan," Cruz said on ABC's "This Week." While she notes that she respects the oversight role of Congress, Clinton writes in her book that "many of these same people are a broken record about unanswered questions. But there is a difference between unanswered questions and unlistened to answers." Michael Czin, a spokesman for the Democratic National Committee, said, "Priebus sounded more like a conspiracy theorist than a leader of the Republican Party." "The Obama Administration and Democrats are focused on making sure a tragedy like what happened in Benghazi never happens again, Czin said in a statement. "Republicans are obsessed with playing politics with that tragedy just to rally their far-right base." Reached by CNN, Clinton's spokesman deferred to the DNC for comment. CNN's Dan Merica contributed to this report. When the GOP returns every penny the Kochs give legally and through other means then I would consider his argument. As of now the statement is ranting of a spoiled kid. Why dose Reince Priebus and the RNC always stand behind the wacko crazes ? Reince ought to know. Making money is the definition of his job description. Isn't it a little ironic that the guy that represents the gold standard of political parties is criticizing another party for fundraising. I wonder if he feels the same of Sarah Palin,for her books or speeches? After all, she quit her job solely for the purpose of bankrolling her personal pocketbook. It could even be said it's the reason she accepted the vice-presidential nomination. Where's the outrage there Mr. Prebus?